Looking for a healthy snack? Here is a flavourful and fibrous Guajarati dish which is light on the stomach and is healthy as a snack option. 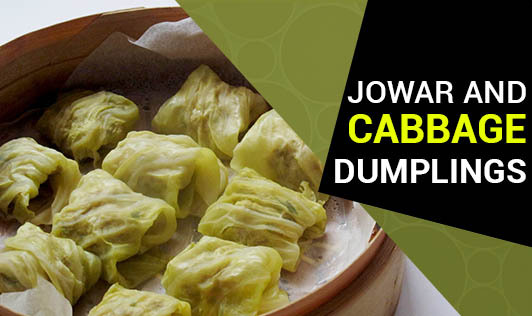 • 1 cup cabbage (grated). 1. In a bowl, combine all ingredients. Adding enough water, knead into a soft dough. 2. Divide the dough into 4 equal portions and shape each portion into a cylindrical roll of approx. 5" in length. 3. Place the rolls on a greased thali and steam for 10 to 12 minutes till firm. 4. Remove, cool and slice into 1" thick slices. Keep aside. 5. Heat the oil in a deep pan and add the cumin seeds. 6. When they crackle, add the asafoetida and curry leaves and sauté for 10 seconds. 7. Add the sliced dumplings and sauté for 3 to 5 minutes or till they are lightly browned. Serve hot garnished with coriander.